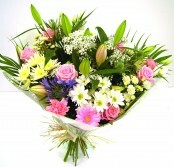 Need to quickly arrange a flower gift for next day delivery in Middlesbrough? 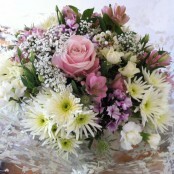 Not a problem, at Butterflies we deliver fresh flowers daily to Middlesbrough and it's surrounding areas. Order anytime on the day before (or even order upto 1pm on the same day) for a last minute flower delivery that won't disappoint. If you require something specific or extra special, please do try to give us as much notice as possible. But of course for those last minute gifts we can always oblige and you can be sure we'll deliver a bouquet or arrangement of best quality flowers with great service. If you order online we accept mastercard/visa and paypal. Please note that when ordering a last minute gift not all flowers are kept as standard stock so if you require something specific please call or email us first to ensure we have it or can source it for you.